This photo was captured few years back while we reside at our apartment house in Thiruvanmiyur and staying there for about 8 years I got to see many birds, which come in search of prey in the open vegetation that widespread in front of our house. 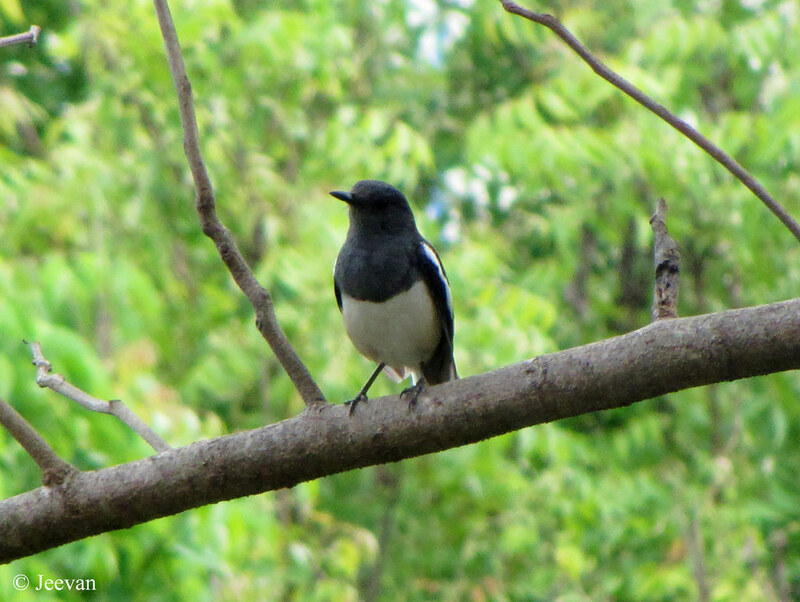 And Magpie robin (oriental) is not a frequent bird to visit the site unlike the water birds, green parrots, babblers, Asian koels and my favorite kingfishers. I remember seen the magpie robin lesser times but this shot comes as a memorable one. Although I have more detailed and clear pictures on birds, this is something make feel special and consider as one of my best shots. The oriental magpie-robin is a small passerine bird, in distinctive black and white, with a long tail that is usually held upright as they forage on the ground or perch conspicuously. The bird that belongs to Indian subcontinent and parts of Southeast Asia is considered as the national bird of Bangladesh. Btw. I'm very sorry and sad to know and say our fellow blogger buddy, Tina, the EG Camera Girl has passed away along with her husband on 23rd in a car accident. I was really thinking why she haven't update her blog for last few days... she's a regular blogger and blog post at least one daily and I learn more about her place, Ontario, through the blog and she's a greater observer and creative at shoot and finding out things. I am sure to miss her interesting posts and presence in blog. Hope they are rested at peace. 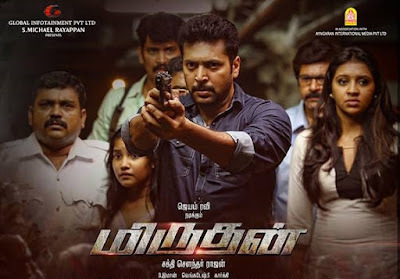 After long back I was at theater (drive-in) to watch the sci-fi thriller Miruthan, which was advertised as India’s first zombie film in Tamil. Jayam Ravi as protagonist and Lakshmi Menon as his love interest, the film was directed by Shakti Soundar Rajan of Naaigal Jaakirathai. I was amused to know he was the director of Naanayam, one of my favorite Tamil films, based on bank robbery but shot on an innovative platform. I see Miruthan as an experimental movie and the concept of zombie is pretty new for Tamil audience who haven’t exposed too many zombie movies in Hollywood. Even I wasn’t familiar with this genre. The film begins with a mishap where some toxic fumes split into the road and a stray dog that sniffs become violent and bites a man who in return becomes a zombie and the virus spreads from one human to another through a chain of violent bites. Jayam Ravi is a traffic police with a grade to become a police inspector, but chose to retain to the former to take care of his little sister. And he loves Lakshmi Menon as one side; although she’s engaged to someone their meeting always end at sending bad reputation about him to her. At this moment the virus spreads rapidly and many zombies rise among the residences of Ooty – from where the story starts, and Jayam Ravi supports the doctors’ team, which includes Lakshmi and let them to Coimbatore in search of antidote to prevent the virus and violent spread through. Though they reach CBE, the situation blocks them into a shopping mall right opposite to the medical hospital, where a team of doctors waiting for the sample to find prevention, how did they cross the lane full of zombies in killing mane and a bite that could transform them into zombie? Was set in a bizarre and yet light emotional and thriller. Though there are spaces for emotion, the film travels on a matured lane and straightforward keeps the length of movie short. The director has applied light-hearted moments here and there to keep track on entertainment rather going serious and keep discontent. Kaali Venkat, RNR Manohar and Sriman has done their bit pleasing the audience as naive and Jayam Ravi led his role well and shooting most of them is something sounds overwhelmed. While I appreciate the director for coming up with different subjects, I wish his films carry some realism for us to believe on the concept. I don’t find a strong reason for those becoming zombie, but still has done a good job and leave us with an anticipation and fierce version 2! while I lay back and take comfort. 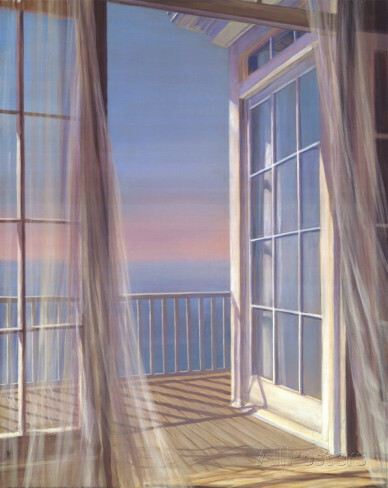 quietly unfold things that enticed me. the wind uplifts me despite the ability. to become an everlasting energy. Colorfully painted pots comprising the colors of red, green and blue! 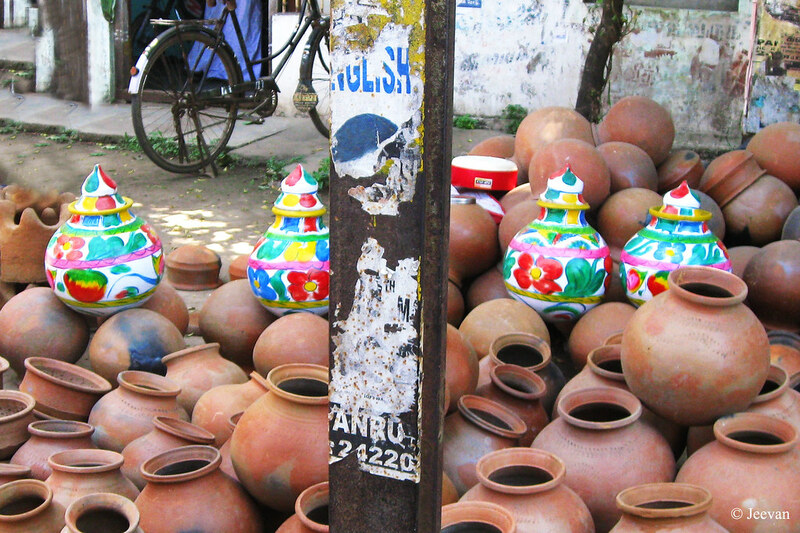 The picture was shot at Panruti, a south Indian town popular for its jack-fruits and cashew nuts, and the clay pots are displayed for sale on the roadside. without knowing it has censor panels. doesn’t have the privilege to unveil. 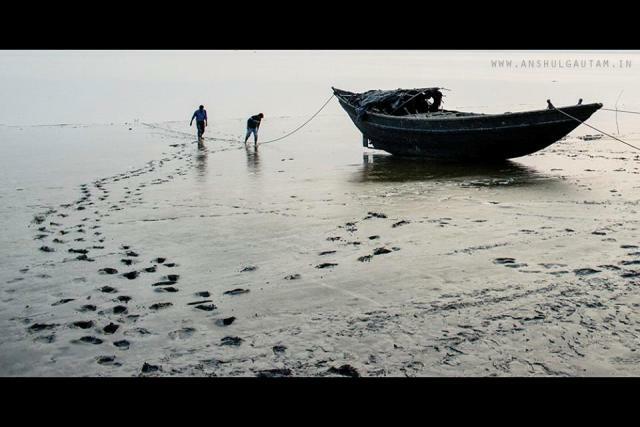 A walk back in memory and demise of my friend’s father! One of my childhood friends father passed away on Friday and he’s not only my friend’s father but a long time neighbor and family friends whose relationship were grown from my grandparents generation. Karthi and Vela are our (me and bro) best childhood friends and our friendship lasted for very long time but only Karthi was in touch with me and even after we shifted our home a decade back we used to enquire every time meeting either. But after shifted back to the neighborhood (close to our native house here) a year back, I happen to meet him often while coming around the neighborhood in the wheelchair by evenings, and I also meet his father while crossing his home where he used to be reading newspaper sitting outside his home. I can’t believe he’s no more! Even few days before his death, he inquired me on walk – what they refer me to be out in wheelchair and he showed no sign of demise. A severe cardiac arrest, all of sudden, ceased his breath. His elder son and my friend Vela is a very intelligent student and so bright in studies. I have seen him even correcting his classmates’ exam notes that were given to him by their school teacher and he was such genuine in his assignment showing no favor to anyone even if they are his close friends. Being family friends, his father treated us no different and we even had fun playing at their bed room, jumping here and there and he never scold us anyone. One time, he took me to beach along with his sons in the bicycle; putting his younger one in the baby seat in front; me and Vela shared the rear carrier. We had fun playing at the beach sand and the duo went against the waves to take bath in sea and a scare being, I decided to stay back in shore taking care of their things while they enjoy the waves. Anytime he sees me, he never fails to enquire and also tease me sometime with nothing ill inside. Moreover, I ever seen him serious and an easy going personality really makes me wonder what cause him heart attack. I know a person’s attitude doesn’t expose on his health but ignorance plays an important role and being unaware of the causes and symptoms of heart attack pull us into trouble that leads to nothing but death. I know he has experienced mild stroke in past that forced him to drop his security job, after the company he worked was shut down or he left the job. The only complaint or disappoint I hold for him was that he stayed away from his mother due to some personal regrets related to their transformation from thatched house to a concrete floor. I have watched through their building home and destruction of the former, but my connectivity with the friends (Karthi and Vela) and visit to their house has diminished slowly as my mobility become restricted, the diversion in lifestyle brought each ends loose and tied somewhere. But shifting back to the native neighborhood makes me feel of reconnecting and creates chances to keep in touch… but I didn’t expect this disconnection from him quite. I really forget to say about his wife, who has been a great support to their family not only by love and affection and caring but also economically she aided by grinding flours to others who can’t do themselves at their home. Hope his family and my friends gather strength to bear his lose. 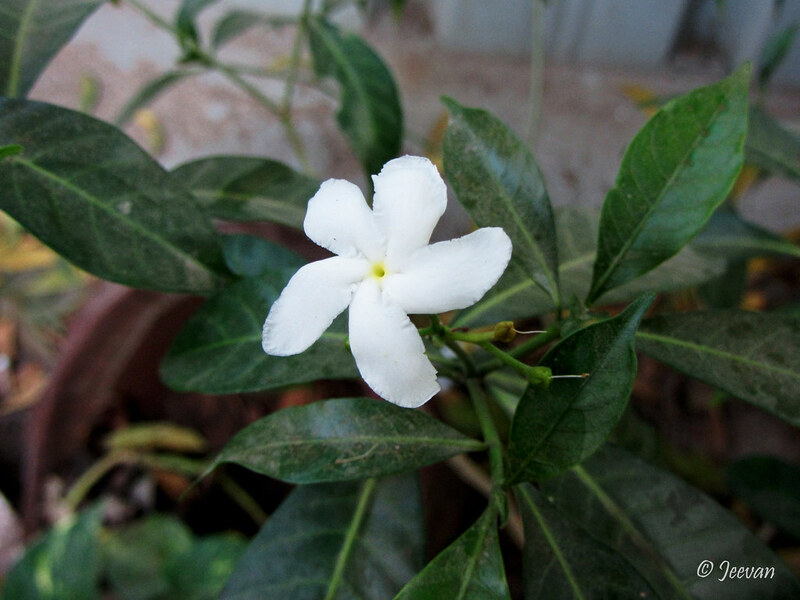 In our previous house, we had couple of Crape Jasmines aka Moonlight or Carnation of India along the side walk. Native to India, the evergreen shrubs thrive with beautiful pinwheel shaped flowers has dark green leaves and pointed edge. 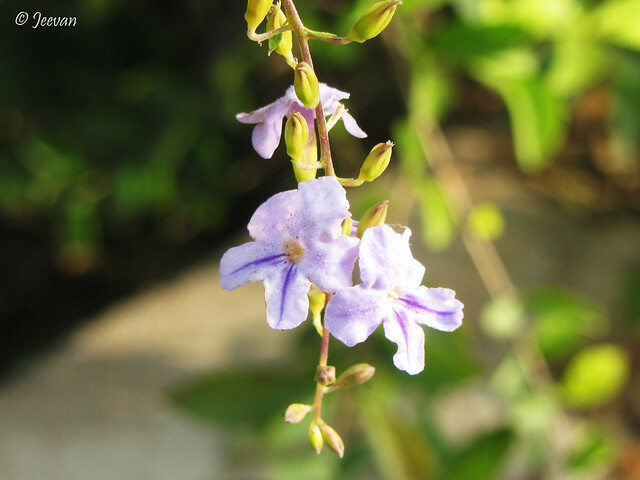 Also known as Nandiar Vattai in Tamil, the shrub grows up to 4-6 feet in height with spread of 6 feet, blooms throughout the year and has flowers in 5 petals clustered to the stem tips. 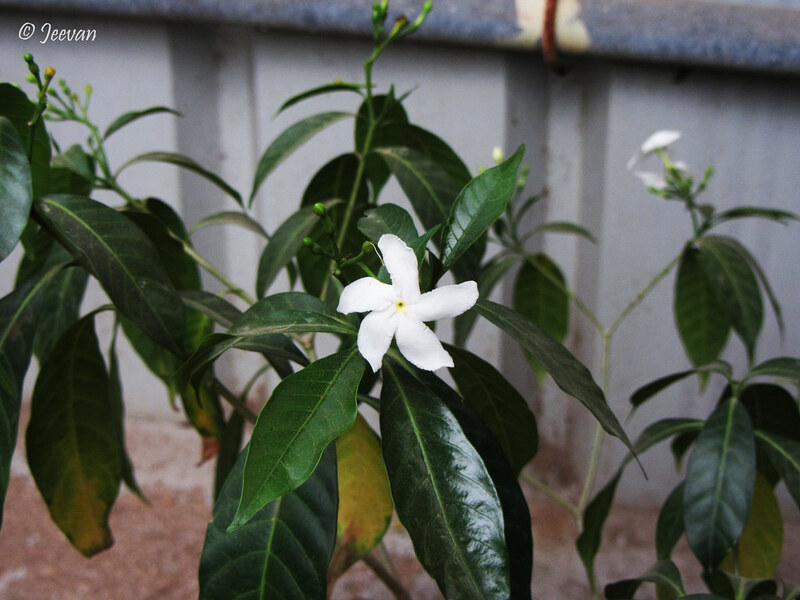 The roots and stem of the shrub has multiple medical benefits and interestingly the flowers of the single form are unscented rather than the double form with pleasant fragrance! 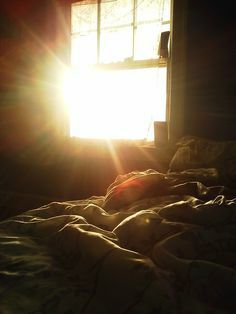 whether it was sunlight or moonlit. bearing a mind-set closely exists to mine. at our secret meets at street end café. 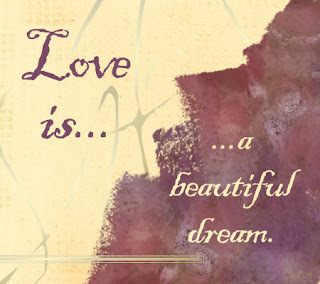 setting a perfect example of valentine. I see more than a shade of red, green and blue there! The picture was shot at Kodaikanal pointing at a shop that sells cloths along the Lake Road, and looks like the salesman was looking for customer. It was late evening when I shot the photo, while waiting opposite to the shop to have some tea in the cold weather and the shop was illuminated and the cloths where enhancing to shoot in different colors. 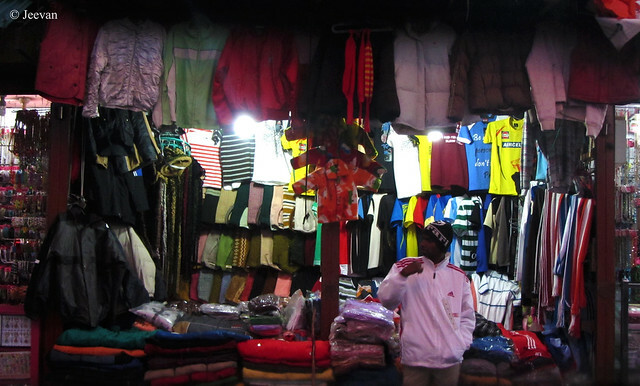 Being a hill-station the shop sells dresses that suit for cold season and you could see t-shirts, sweaters, jackets and jerkins there and he also sells colorful scarfs to wear around the neck. On a palm tree! 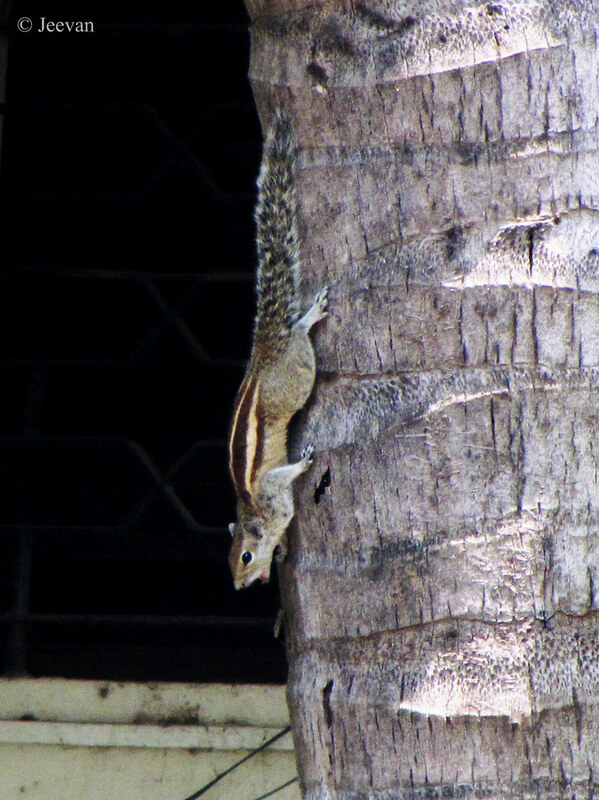 The picture was shot at my previous house and the squirrel was running vertically up and down on the coconut palm tree of the neighbor's. 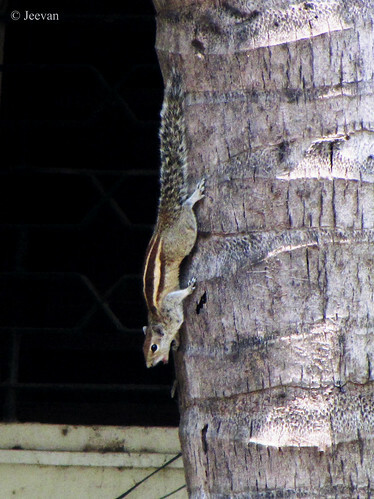 The Indian palm squirrel also known as three-striped palm squirrel, is a species of rodent in the family of Sciuridae and it is found naturally in India and Sri Lanka. I think Saturdays and squirrels have a link between, because I listening to squirrels chitter mostly on Saturdays. It doesn’t begin now, but from the childhood days I happen to listen to squirrels mostly on Saturdays and that doesn’t mean I don’t hear them on any other days. During my childhood days my parents usually take us to Anantha Padmanabha Swami Temple every Saturday after visiting the Vinayagar temple at Adyar signal, I used to watch squirrels running here and there and chittering along the corridor. There’s an almond tree on the rear of the sanctum from where the squirrels come into the temple premises and unlike now, the temple used to be empty and calm enough to hear the squirrels shrill clearly. I also used to pick up the almond leaves that fall to the ground after being ripen and bring it to home and have breakfast in it as the leaf was big enough to hold a idly. Sometime I go to tuition on Saturdays (then) and listen to squirrels chitter from the trees nearby the tuition teacher’s home making a diversion from studies. Whenever I hear squirrels chittering and knowing it was Saturday I am linked back to memories automatically and today is one of those days where I listen to squirrels. The comedy king of Tamil cinema, Goundamani, has reappeared in a movie after long back and also led the film titled 49-O. The movie released in Sep 2015 deals with the state of farmers and fertile lands being transformed into housing plots though political satire. Goundamani as the protagonist haven’t come back to do a regular comedy role as hero, which most comedians prefer do to these day but acted prudentially in a serious character along his counter dialogues for what he’s famous for. Goundamani is a genuine farmer and believes that fertile land is the future, oppose to the farmers decided to sell their fertile land to a real estate company but their poverty forced them to go ahead with the decision and later deceived by the company and local politician. The people realizes their mistake and to help farmers get back their lands, Goundamani come with a plan of promoting his own fertile land but instead of making housing plots he develops graveyards, beside the lands of farmers to block the business of the company. As another step to regain their fertile land, they decides to sell their votes instead of politicians fix the amount, usually, they come up with a sum to be paid for vote. Later they nominate their own candidate and propagate for his victory against the local politicians… but unfortunately he was murdered. At that moment, Goundamani starts a pioneering movement and how did that help them to regain their fertile lands is rest of the story. Like one man army, Goundamani bears the entire movie and his age isn’t an issue while his energy level on entertainment front is still adequate. With simple story, Goundamani’s strong dialogue delivery and script writing upholds the farmer’s struggles and political satire as the highlight of the scenario. The land promoters has been excoriated a lot and much of illusions relevant to the fake promises by them has been revealed in fun manner. The music/songs and cinematography has been average, but nothing to complain about and many scenes have been straightforward so the film concludes in less than 2 hours. The movie is worth watching for the strong social message that supports the value system of farming and re-entry of Goundamani - for his political counter! Btw. 49-O is a rule referred to The Conduct of Elections Rules in Indian, a procedure to be followed when a valid voter decides not to cast his vote and decides to record this fact. 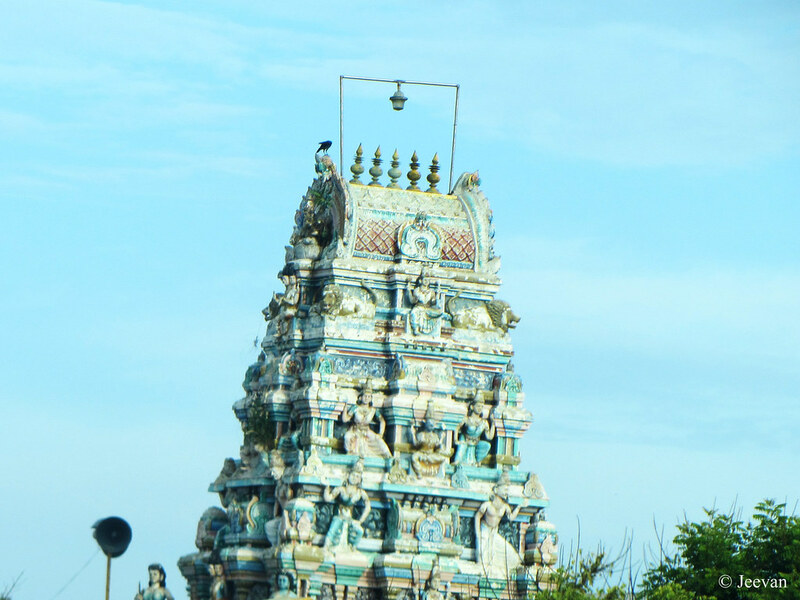 During one of my visits to Kovalam Beach, near Chennai, I got to capture this temple tower from the parking lot. 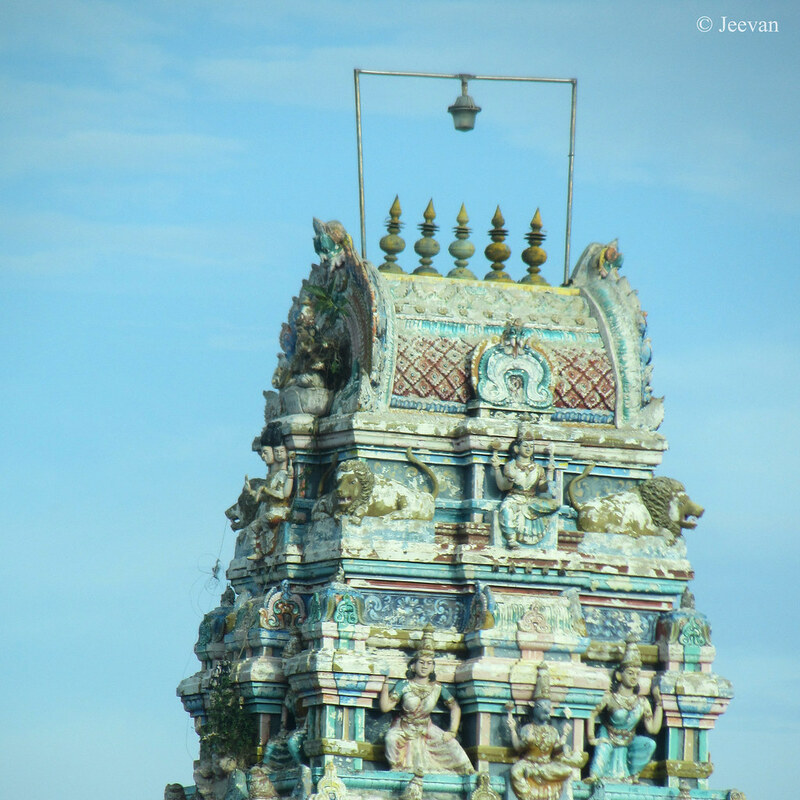 The temple called as Kanniamman Kovil is built close to the shore, though the temple tower looks fading, I find it beautiful along the pretty blue sky. I was there on a Sunday evening and it was crowded and people where coming in and out making it look like an exhibition with few merry go around kind of things. For the people around this area, Kovalam beach is an entertainment place to spend their Sunday evenings. 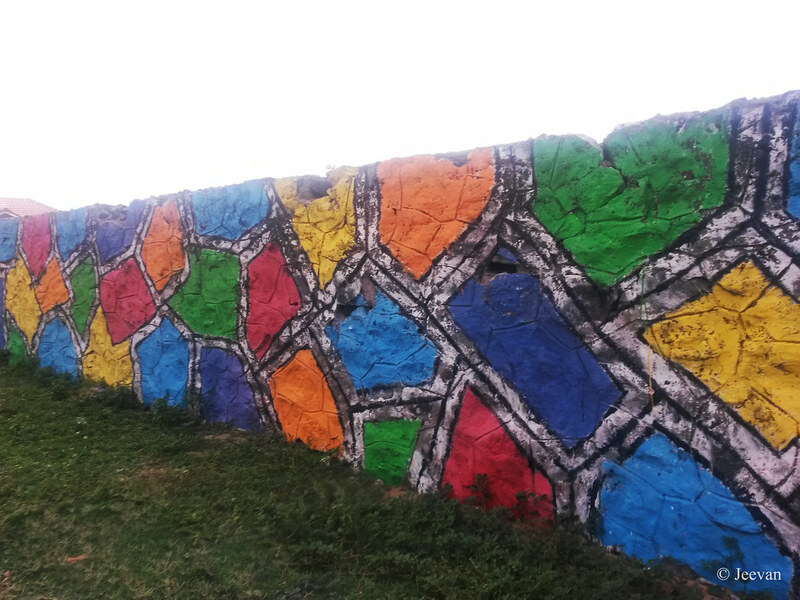 A colorful wall/graffiti near Elliot Beach, Besant Nagar! Other day for a change my cousin took me to the other side of the Elliot beach (an alley between the Governor’s beach bungalow and Domino’s Pizza near skating ground) where I find this wall pretty colorful to shoot. The gap was very narrow and only enough for a hatchback to pass and it was open for the people to reach the kuppam (a fishermen village) and taking this path took me further closer to the sea from the usual parking lot. 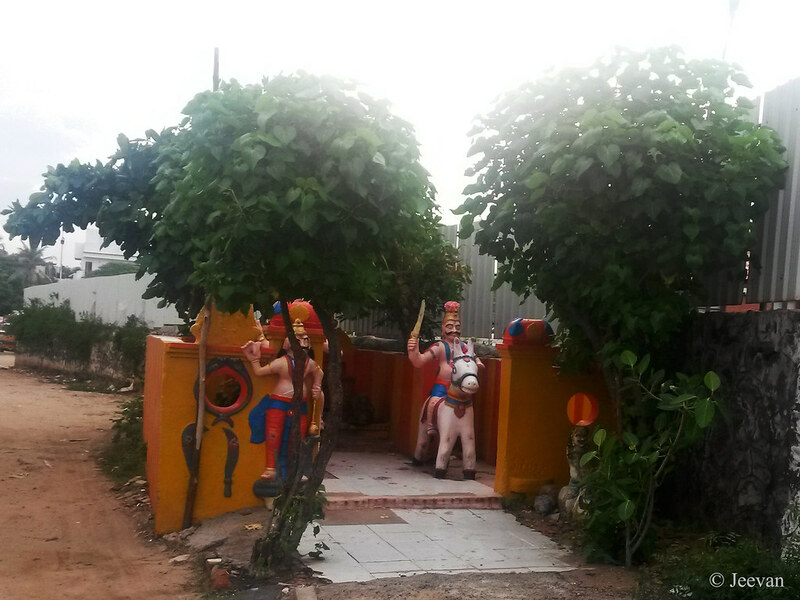 Near the graffiti, I also find a small house temple, which perhaps the tutelary deity of the people of the kuppam, and it was too colorful to shoot. The house holds couple of small Ayyanar statues and other idols encompassed by 4 Sacred fig shrubs.